Newt Gingrich received $2,010 in donations on this day. Newt Gingrich received $2,450 in donations on this day. Newt Gingrich received $1,345 in donations on this day. Newt Gingrich received $450 in donations on this day. Newt Gingrich received $520 in donations on this day. Newt Gingrich received $320 in donations on this day. Newt Gingrich received $700 in donations on this day. Newt Gingrich returned $175,050 in donations on this day. Newt Gingrich returned $309,860 in donations on this day. Newt Gingrich returned $4,958 in donations on this day. Newt Gingrich received $1,050 in donations on this day. Newt Gingrich received $1,750 in donations on this day. Newt Gingrich received $4,870 in donations on this day. Newt Gingrich received $0 in donations on this day. Newt Gingrich received $1,920 in donations on this day. Newt Gingrich received $2,420 in donations on this day. Newt Gingrich returned $9,845 in donations on this day. Newt Gingrich received $5,450 in donations on this day. Newt Gingrich received $1,070 in donations on this day. Newt Gingrich received $1,650 in donations on this day. Newt Gingrich received $1,720 in donations on this day. Newt Gingrich received $1,860 in donations on this day. Newt Gingrich received $220 in donations on this day. Newt Gingrich received $440 in donations on this day. Newt Gingrich received $1,520 in donations on this day. Newt Gingrich received $1,830 in donations on this day. Newt Gingrich received $2,000 in donations on this day. Newt Gingrich received $2,300 in donations on this day. Newt Gingrich received $4,725 in donations on this day. Newt Gingrich received $4,650 in donations on this day. Newt Gingrich received $4,520 in donations on this day. Newt Gingrich returned $13,009 in donations on this day. Newt Gingrich received $12,061 in donations on this day. Newt Gingrich received $2,578 in donations on this day. Newt Gingrich returned $150 in donations on this day. Newt Gingrich received $7,350 in donations on this day. Newt Gingrich returned $5,990 in donations on this day. Newt Gingrich received $18,670 in donations on this day. 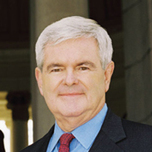 Newt Gingrich received $15,190 in donations on this day.